Thanksgiving’s over! It’s time to shake off that tryptophan daze. 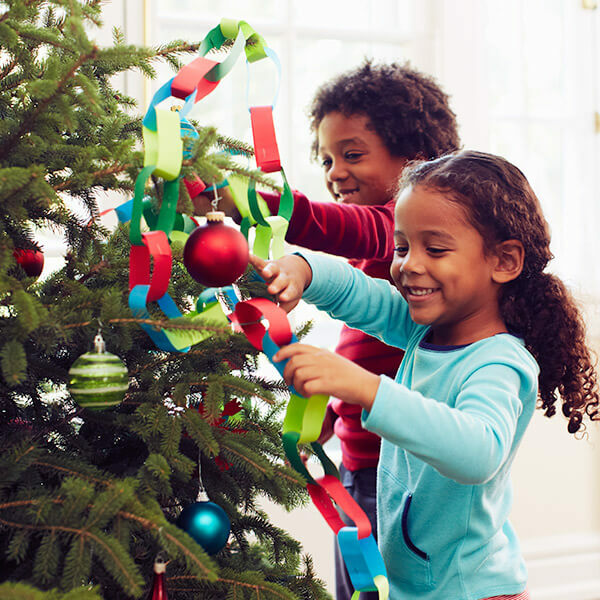 Get the December ball rolling with our 25 Christmas activities carefully selected to maximize your holiday spirit. 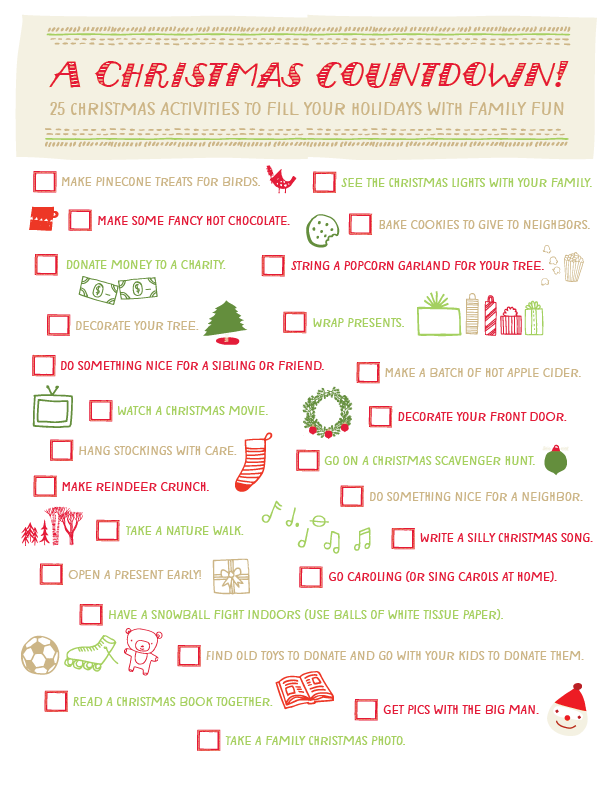 Here’s a countdown list of Christmas activity ideas for your family to enjoy. Print it out, hang it up and start having some fun!